Building a Sustainable World In the Middle School Science classroom is a two day summer workshop designed through a collaboration between the Mascaro Center for Sustainable Innovation, the Engineering Education & Research Center and the Institute for Learning that aims to inspire school teachers to incorporate sustainability and engineering practices into the middle school science classroom. The workshop exposes teachers to sustainability and engineering through experiential learning and provides materials to help transfer the new information into their classrooms. As an outcome of the workshop, teacher participants are provided with a toolkit as well as the texts and tasks linked below. Each summer over 100 pre-college students from underrepresented groups in STEM attend a 5 week summer-enhancement program. MCSI hosts over thirty 11th graders to teach them about Sustainability and Engineering Design using design-build challenges focused on energy, water, and microelectronics. MCSI is delighted to partner with the Manchester Academic Charter School (MACS) on sustainability and engineering based educational programs. In 2011, to provide a general understanding of sustainability principles, MCSI faculty and students provided all 6th, 7th and 8th grade students a series of lectures on sustainability, green buildings, energy and water. The students then participated in the first MCSI Sustainable Schools competition with the goal to identify a concept that would make their school ‘greener’ while increasing school-wide awareness of sustainability. With guidance and mentorship from MACS science teacher, Cara Koloshinsky, and MCSI post-doc, Bhavna Sharma, students were challenged to work individually or in teams to develop a proposal outlining how they would make their school more sustainable. Projects were reviewed by both MAS and MCSI representatives and judged on the quality and creativity of the proposal, the long term impact on the school and the feasibility of implementation. 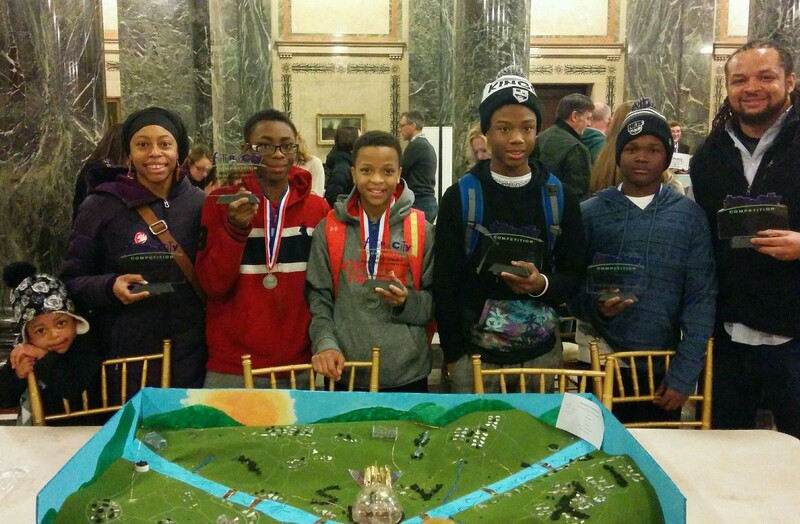 On January 17, 2015, MACS students participated in the annual Future City Competition in Pittsburgh, PA. Social studies teacher Dennis Henderson, engineering mentor Casey Wagner and MCSI visiting assistant professor Dave Sanchez helped the 6th, 7th, and 8th grade Future City team in the 2015 competition. The challenge this year was to create a sustainable food system. The MACS student team won The Most Sustainable Food Production System. We congratulate MACS and their advisor's on the great accomplishment. Representing the school, pictured left to right, Ms. Charis Rose (teacher), Micah Baldwin, Isaiah Wilson, DeAndre Gordon, Gerelle Porter, Mr. Dennis Henderson (teacher), four 8th graders, pictured right to left, Korri Cokley, London Greer, Re'Onna Durham, and Noah Fitzpatrick. Dr. Melissa Bilec, in collaboration with Penn State University, Penn State Center, and the Kingsley Association, completed a unique service-based learning course this semester where University of Pittsburgh students conducted energy assessments in the Larimer community. 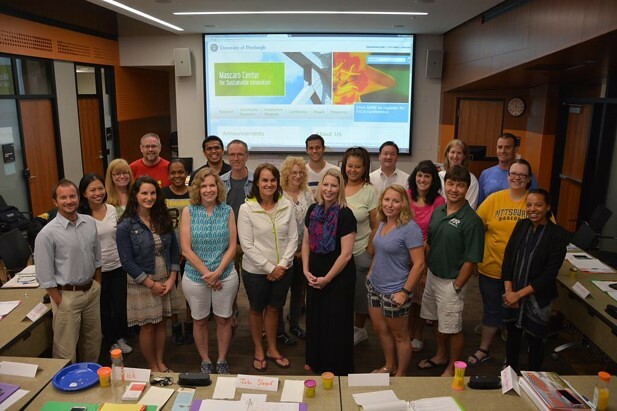 Dr. Bilec's Design for the Environment Course served as a pilot site for PSU's National Energy Leadership Corp (NELC) project. NELC’s mission is to train and mobilize students to conduct free home energy assessments with the goal of reducing home energy use along with promoting parallel learning of the students and homeowners. The semester culminated in a community symposium at Kingsley where the students presented their final reports and individually discussed low-cost energy saving opportunities with the homeowners. This summer, the work is continuing with Rebuilding Together Pittsburgh with the goal of implementing the critical energy saving initiatives in qualifying homes. The Kingsley Association is located in the Larimer neighborhood of Pittsburgh, part of the city’s East End and representing 12% of the total population. The population of these communities is 74% African American, and in Larimer alone, more than 11% of the population is unemployed, nearly 50% of the residents live at or below the poverty level, and nearly 50% of the residents of age completed less than four years of high school. The Kingsley Association endeavors to create comprehensive educational, recreational, and social programming that positively impacts the lives of youth, their families and the East End communities. In the summer of 2010, MCSI summer students helped to develop plans that would find new uses for vacant lands and generate opportunities for new jobs and a more viable economy. In the spring of 2011, students from the Mascaro Center and Pitt Engineers for a Sustainable World (ESW) partnered with the Kingsley Association to teach six classes on practical sustainability topics as part of Kingley’s Junior Urban Leadership Institute (JULI) afterschool program. 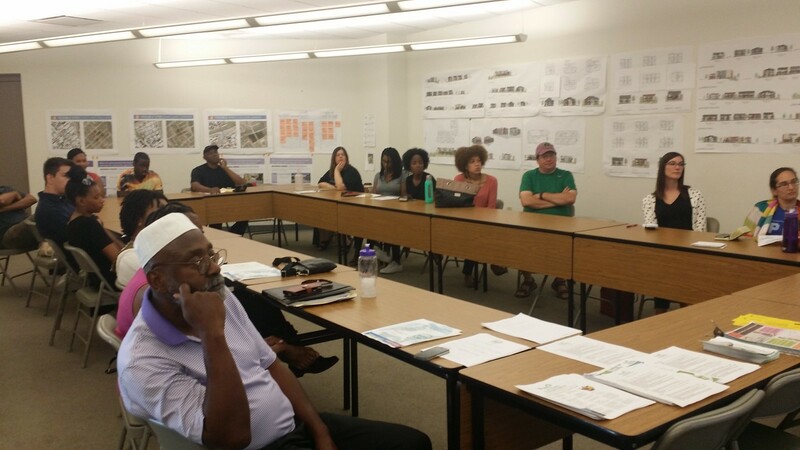 Topics covered were an overview of sustainability and community problems, food, energy, buildings, design and design for environment, and water and waste management. Each class was roughly two hours long, with a fluctuating set of 3-6 students. Initial goals were to focus on practical rather than theoretical sustainability, and hopefully to help design some projects for summer implementation around Larimer such as basketball court lighting, solar hot water from refrigerator coils, or mushroom caves out of shipping containers.